This year our winter garden has been almost to cold to go out and visit ( – 50 is really cold). 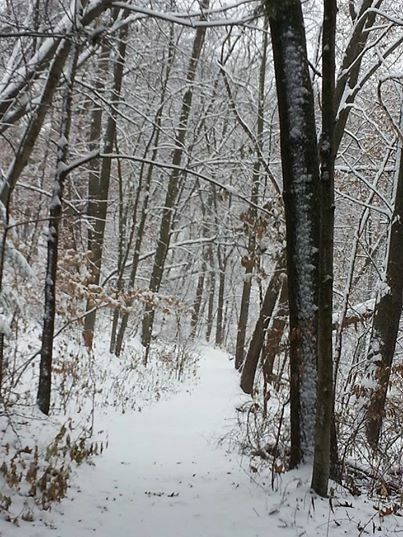 The last few weeks we have been apart of the great Polar Vortex. The winds of winter have kept us inside looking out. Lorraine Ferra, a writer and poet, has provided us with some great ideas of what to do with our nature journal when we can’t be walking in the woods. 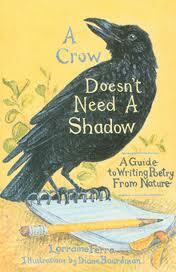 Her book is called A Crow Doesn’t Need a Shadow: A Guide to Writing Poetry from Nature. She begins with teaching about weather poems. This is perfect for us since weather is all we seem to be talking about these days. 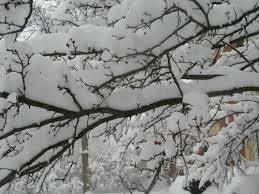 Start by dating a clean page in your notebook and make a list of all the words you have thought about when looking out at the cold, crunchy snow. Sometimes the weather reminds us of other things – so begin a list those things. Next gather a list of action words (verbs) that you might use with people or things other than snow. Now look out your window, and look through your list of words. What you poem can you create? Describe the winter scene outside. Here is a poem taken from Ferra’s book. This is a lovely post. Brrrr that is very cold. I love to hear about new books. This book blends two of my favorites: nature and writing. Thanks for sharing this lovely poetry. I’m glad that you’re here to share some nice sentiments about winter. 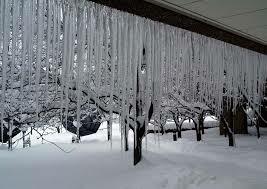 I’m over it at this point but your photo of the icicles plus your descriptor, “icicles look like sharp daggers hanging from the roof:” is very cool. It has been the winter for that, no doubt. Great slice!